Traveling is never particularly easy, but somehow, the ritual gets even more intense during the holiday season when you’re traveling at a time when everyone else is, too. But using mobile apps and services can make the journey run a little smoother: You can plan ahead, frequently check current and upcoming travel conditions, and work around unexpected hiccups. Here are a few Web services and apps available for Apple iOS devices and Google Android devices that should hopefully ease the holiday travel blues. Since the holiday season is arguably the most expensive time to travel, take a look at a travel deal sites to find flights and hotels at rock bottom prices. Kayak (free for both iOS and Android) is a great place to start; this site compares search results from several different deal sites. When you plug in your search terms, Kayak scours the web to find the best flight options, sorted by price. Additionally, you can ask Kayak to compare results to some travel deal competitors, including Priceline, Expedia, Hotels.com, BookIt.com, and Hotwire. That way, you truly have peace of mind that you found the best deal possible. 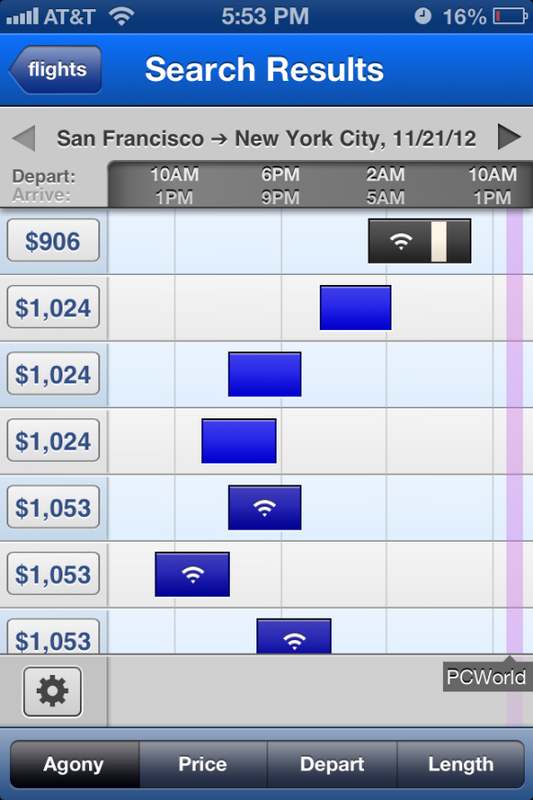 Compare Hipmunk's flight timeline with your own calendar to work around existing plans. Hipmunk (free for Android and iOS) excels at making last-minute travel arrangements. Available as both a website and as a mobile app, Hipmunk searches through several popular airlines and presents travel data in an organized timeline. You can sort flights by departure or arrival time, price, trip duration, or what Hipmunk calls Agony, which is a combination of price, duration, and number of stops. Hipmunk also has a hotel search option, which pulls listings from nearby hotels, hostels, and apartments or homes for rent—just in case your relatives’ house is packed and you’d like a little privacy. What makes Hipmunk especially useful is its calendar integration—you can sync your Google calendar up with Hipmunk to check if your flight or hotel reservation conflicts with any other events. Use Packing Pro to help you pack and finish household tasks before you leave. Once you’ve finalized your travel arrangements, you’d better get packing. To add some sanity to the stressful process, try an app like Packing Pro ($3, iOS). The app lets you create custom packing lists for multiple people in your household, and it’s full of recommended items for you to add to your list. Check items off as you pack them, then filter your list to see what still needs to be packed. Another handy feature: You can create a list of pre-trip tasks, like “take out the garbage” and “set security alarm.” You can even set alerts, so Packing Pro will let you know if you forgot to pack your phone charger. Android users can check out the similar Packing Listapp, for free on the Google Play store. Don’t forget to keep an eye on the weather forecast. 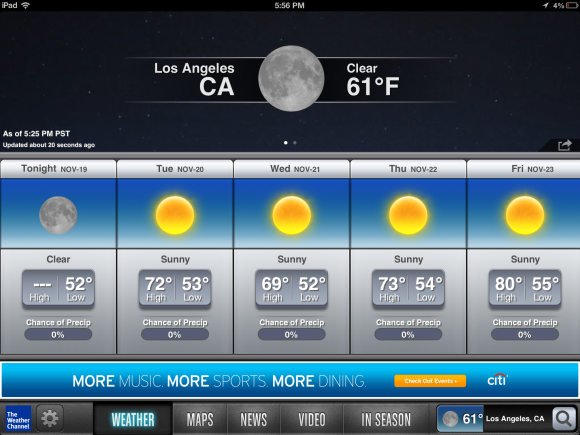 The Weather Channel is available as a free app for Android and iOS, as a desktop widget, and as a full-featured website with a bevy of search options. Check the weather for your destination so you may pack accordingly, and check the conditions of the road or skies to anticipate any traffic or flight delays before you head out. Check the forecast for your travel dates. 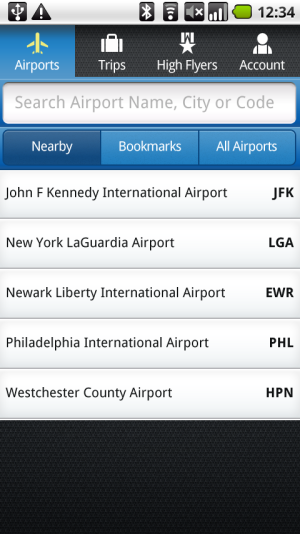 Navigate the airport with ease with GateGuru. One of the most indispensable apps you’ll find is GateGuru (free for iOS and Android)—especially if you end up in an airport you’re not familiar with. GateGuru offers maps and amenity details for many airports. Search for your current airport (or ask GateGuru to locate you), check in, and check the security wait time. The app provides maps of the entire airport, or you can explore a particular terminal and see what amenities are closest to your gate. GateGuru lists where food options are located, as well as places to shop and particular services. GateGuru users can leave airport tips for others to check out, which range from security checkpoint secrets to the best place to get a pre-flight drink. 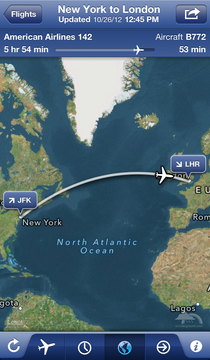 Look at your route and keep on top of flight status changes with FlightTrack. Just Landed tells you when you need to leave to pick someone up from the airport. If you’re picking someone up from the airport, or if you want to keep the person picking you up informed of your flight info, take a look at Just Landed ($1, iOS). Just Landed will remind you to pick someone else up from the airport, once you’ve entered their flight number. The app tells you when that flight departs, when it’s scheduled to land, and how long it will take you to get to the airport based on traffic data. Just Landed will send you a push notification when it’s time to leave; or you can just check the countdown. Whether you’re taking public transit to or from the airport, or riding the rails all the way to your destination, there are a few services that can make your train travel all the more enjoyable. If you’re taking Amtrak, you can use its mobile app (free for iOS and Android devices) to reserve a ticket, check route times, and change your reservation if need be. The app also includes information on station locations and amenities, in case you have some time to kill. HopStop (free for iOS and Android) is integrated with local and regional subway, rail, and bus lines all over the country, so you can use this planning tool to figure out the best way to get to your destination solely through public transit. While it’s great for quick bus and subway timetables, you can use it to find the fastest connecting line to your longer ride through Amtrak, MetroNorth, BART, or any other rail line. Even if you already know your driving route, there are other apps and services you can use to explore destinations along the way and update you on traffic conditions. GPS and navigation apps abound, but Waze (free for iOS and Android) is one of the more enjoyable services. This app combines turn-by-turn voice directions with social gaming. It’s run on user updates and reports with real time traffic updates and details, like road closures, accidents, police activity, and inclement weather. Help out other Waze users by filing a report, so they’ll know that you got caught in a jam due to a major accident, for example. If there’s a traffic jam ahead, Waze will tell you, and then redirect you if there’s a quicker solution. RoadNinja helps you find food, gas, and shopping stops along the road. If you (or your car) are in need of fuel, use RoadNinja (free for iOS and Android) to see what’s available at upcoming exits. RoadNinja will tell you where the nearest rest stop is and what amenities can be found there. The app displays real time gas price info for stations at upcoming exits as well, so you can look ahead to see if gas is cheaper within the next 5 miles or 50 miles. Is Taco Bell the only acceptable answer to your hunger pains? Road Ninja lets you search for popular chain restaurants and fast food joints nearby. Hopefully your road trip will go without a hitch, but if you run into a problem and need some roadside assistance, try RepairPal (free for iOS and Android). RepairPal helps you diagnose the problem (if you’re dealing with an under-the-hood problem instead of a fender bender) and provides an estimate on how much a repair might cost. The app also searches for nearby mechanics and shops nearby, and includes a number to call if you need roadside assistance. 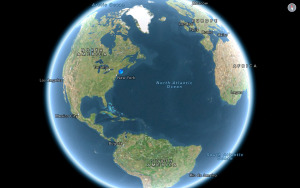 This story, "Apps for (almost) pain-free holiday travel" was originally published by TechHive.